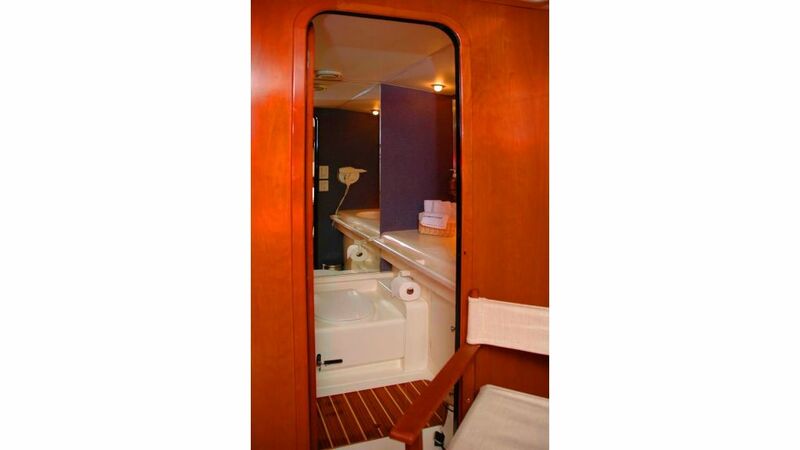 facilities. 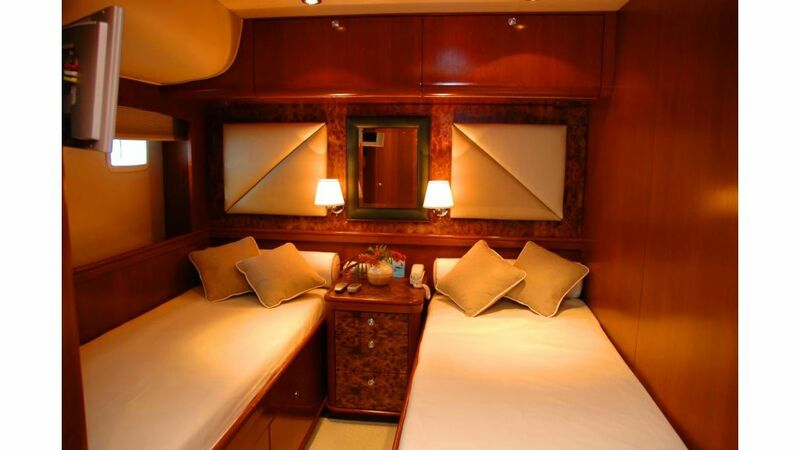 Two Southern Cross a magnificent yacht designed by the prestigious New York based architects Sparkman & Stephens, Southern Cross is a classic example of excellent craftsmanship combined with a luxury accommodation. 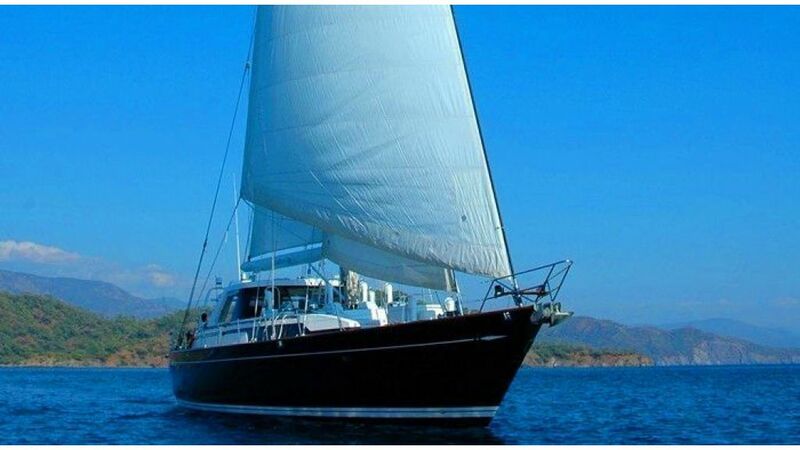 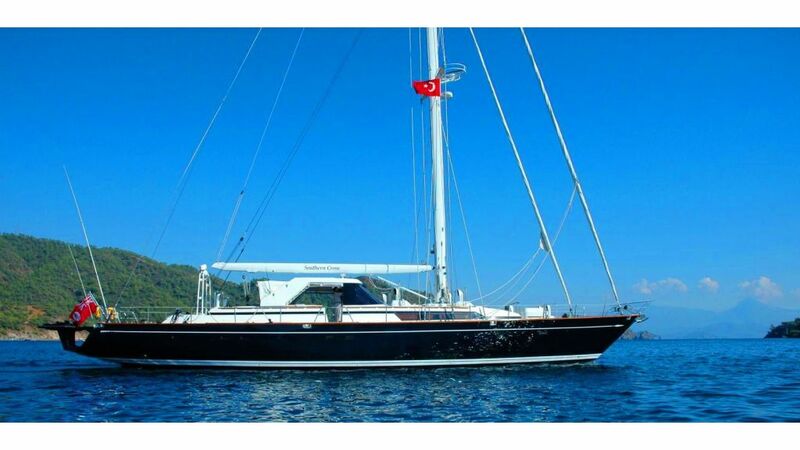 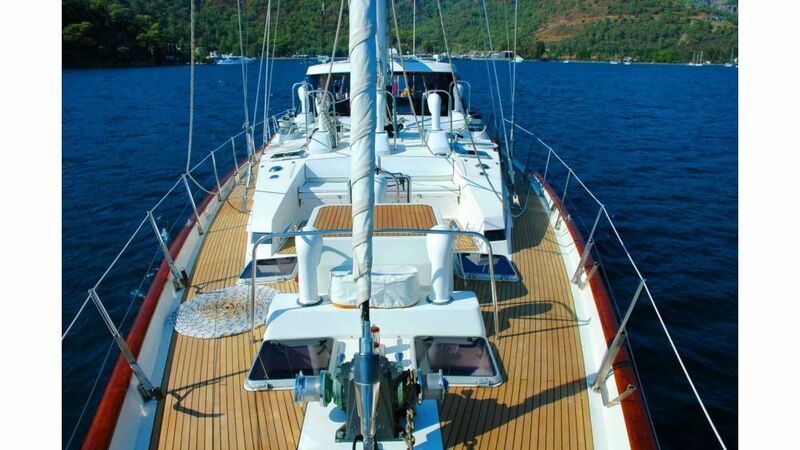 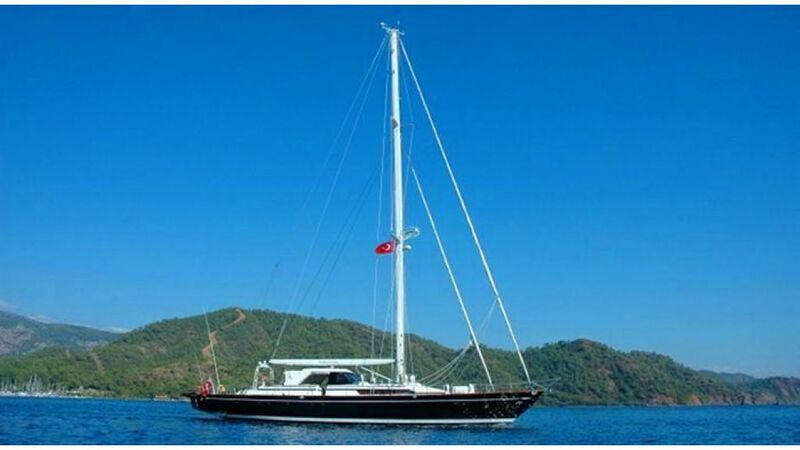 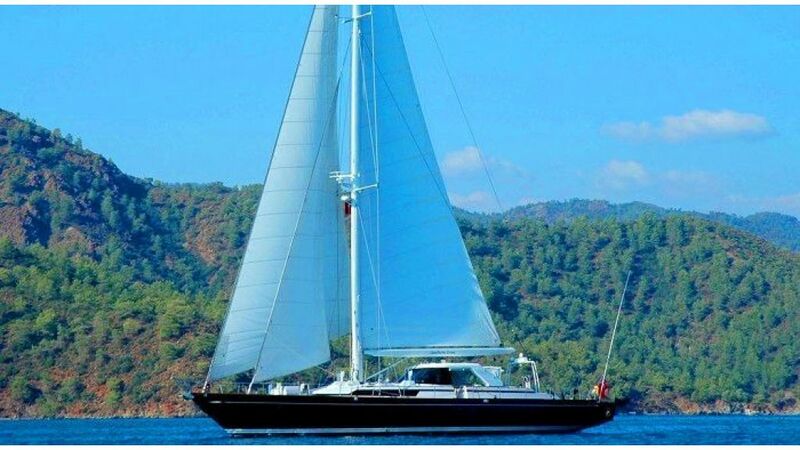 Designed for cruising in warm waters, this modern vessel is graceful, slender and exhilarating under sail. 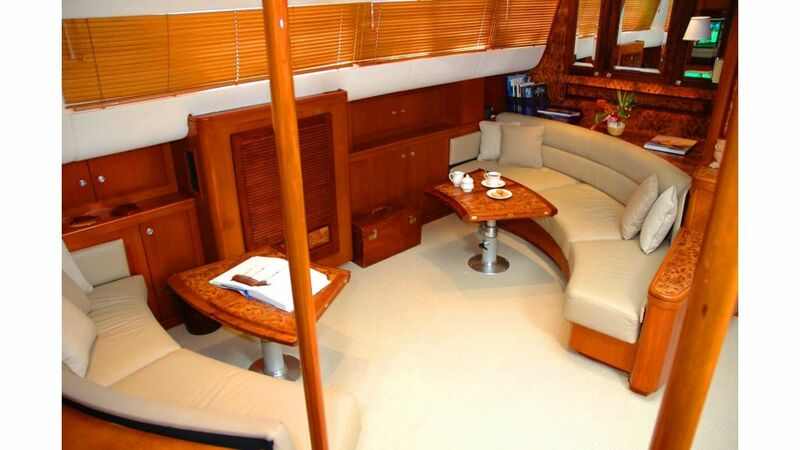 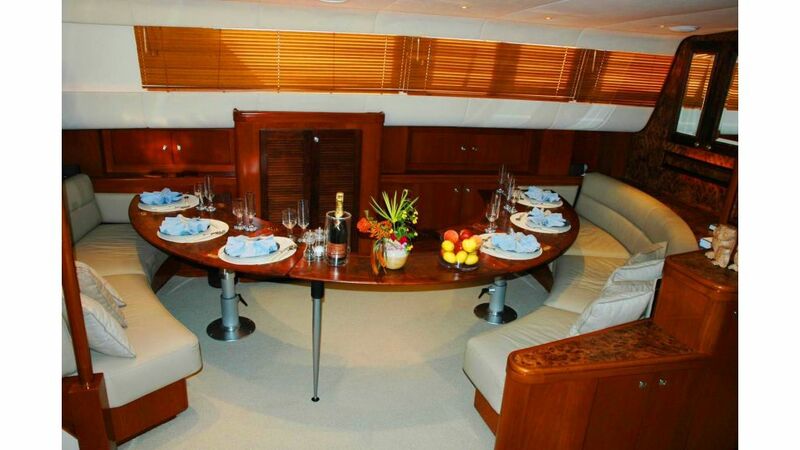 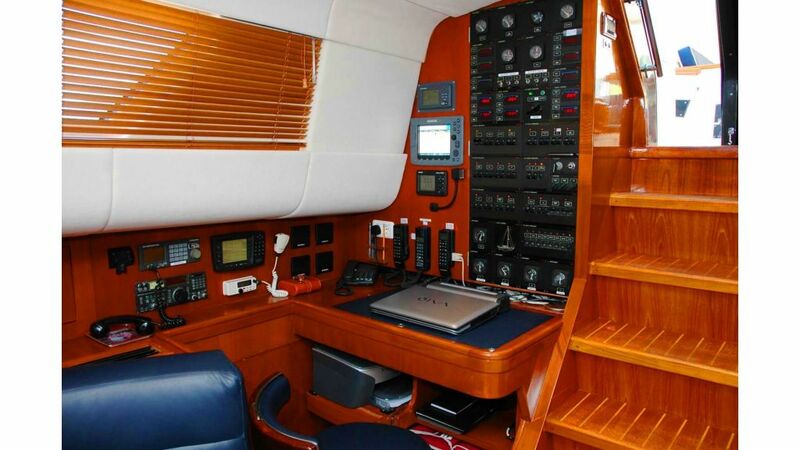 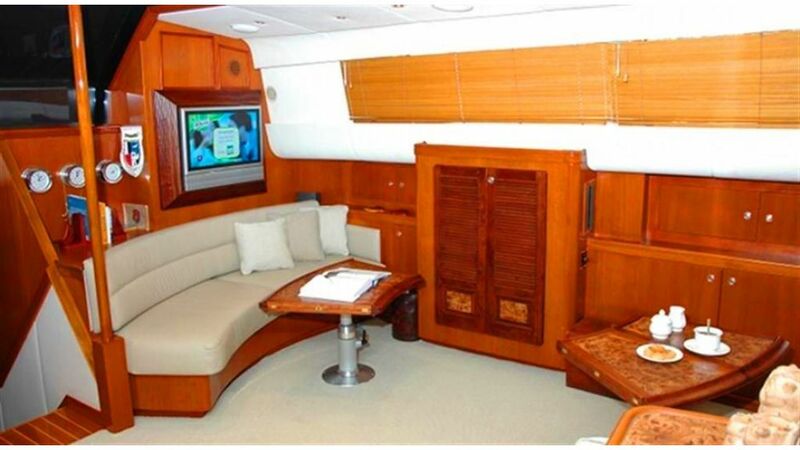 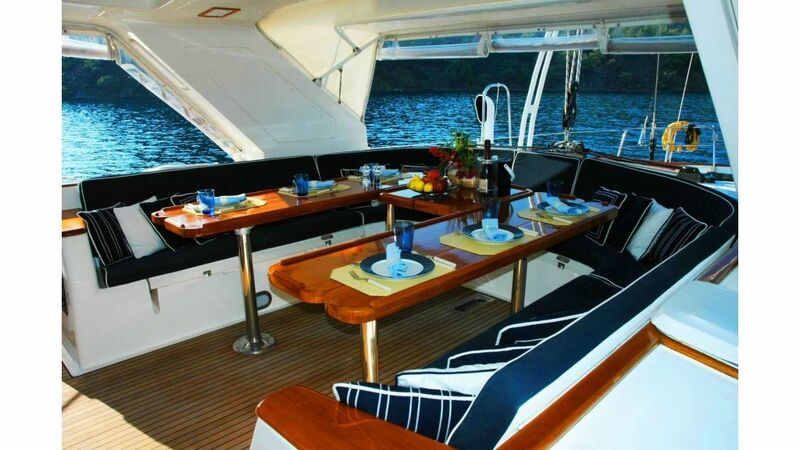 The deck saloon with dining and cockpit seating offers panoramic views whilst under sail or at anchor. 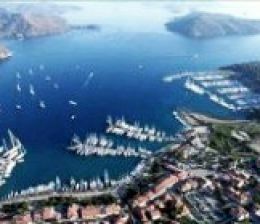 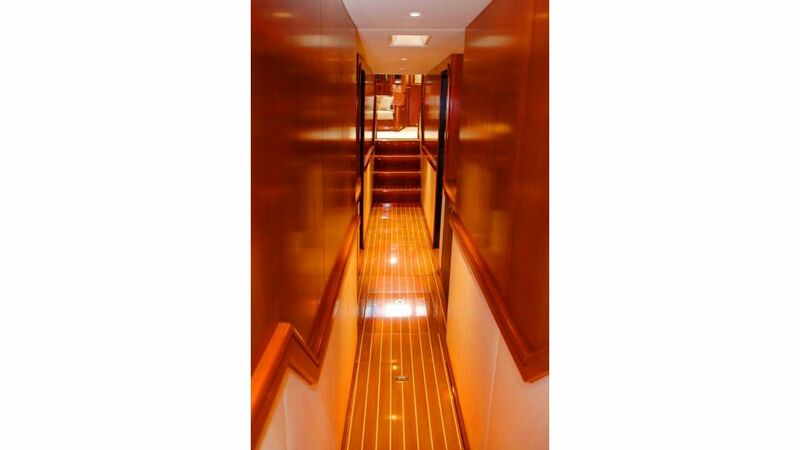 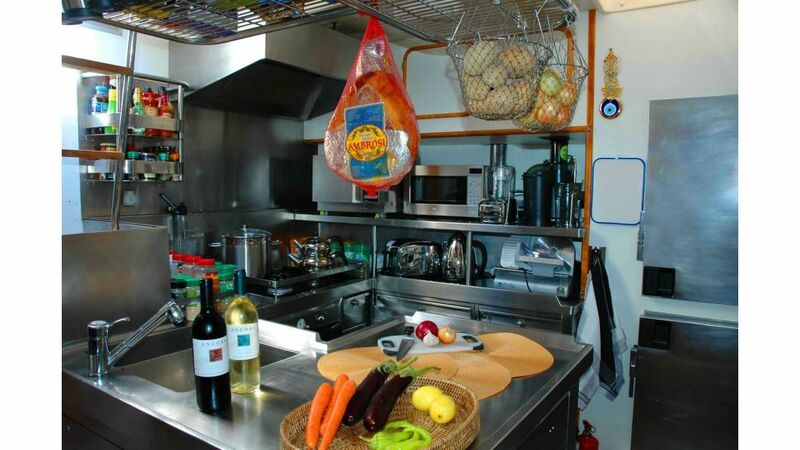 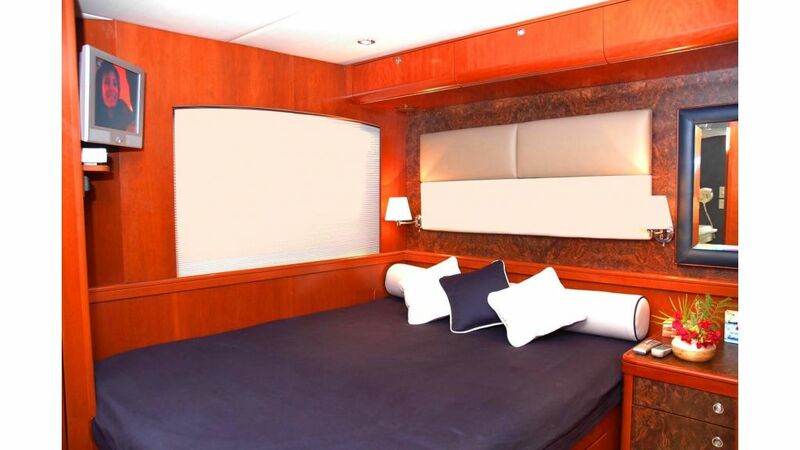 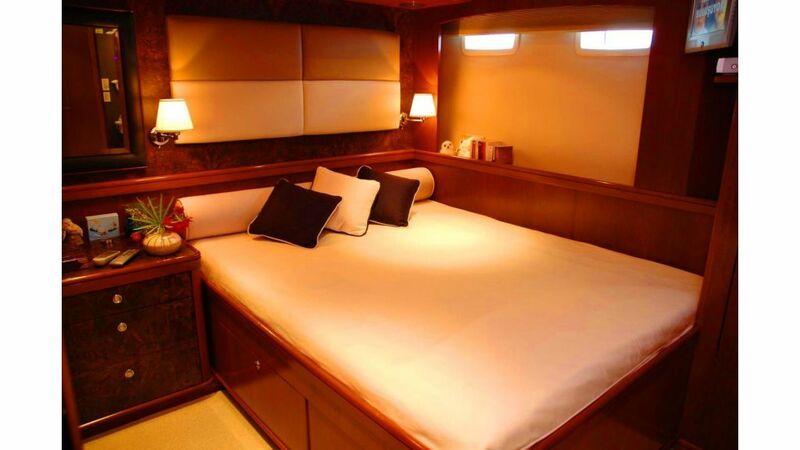 Her unique guest accommodation comprises of four splendid double staterooms with en suite shower facilities. 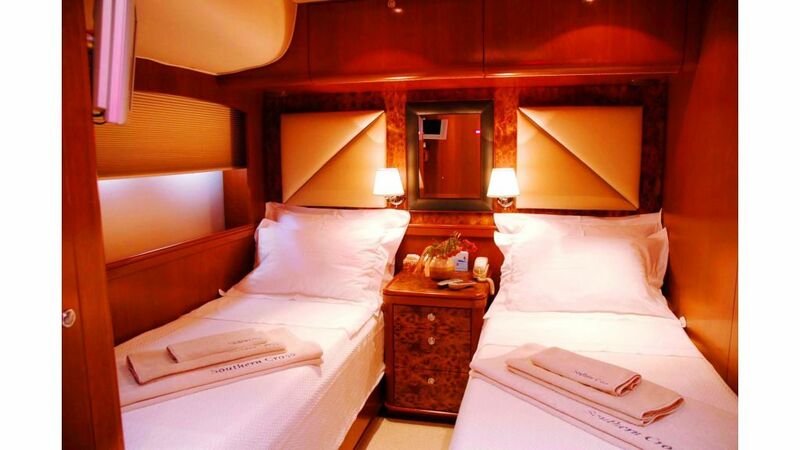 Two of these cabins can be arranged as either twins or queens. 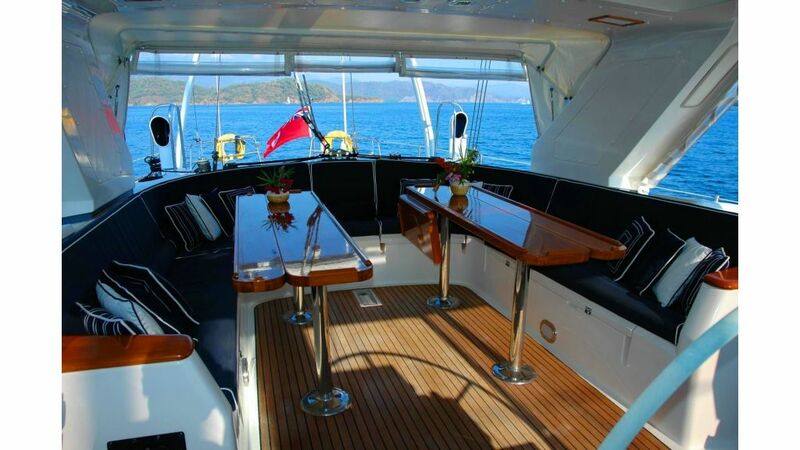 The interior of Southern Cross is fitted with the richest materials available, such as leather, marble, mahogany and teak providing a beautiful interior complete with bar that is also spacious, bright and luxurious. 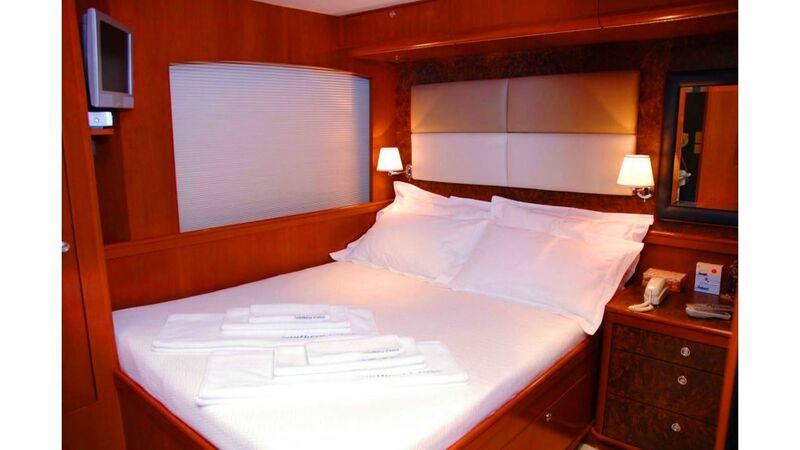 The experienced crew of four consisting of a captain, a chef, a mate and hostess, pride themselves on the service they provide and are dedicated to making every cruise perfect yet different. 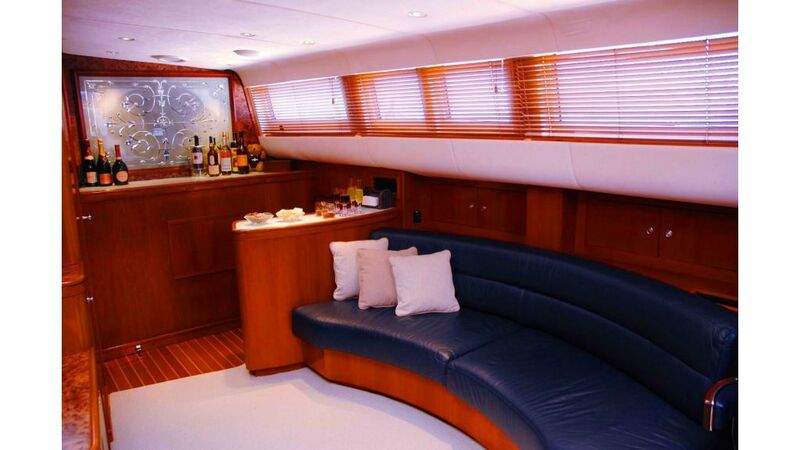 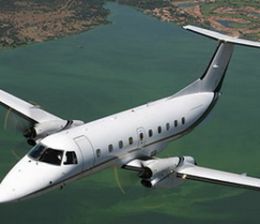 They have been carefully selected for their expertise, dedication and commitment to service.